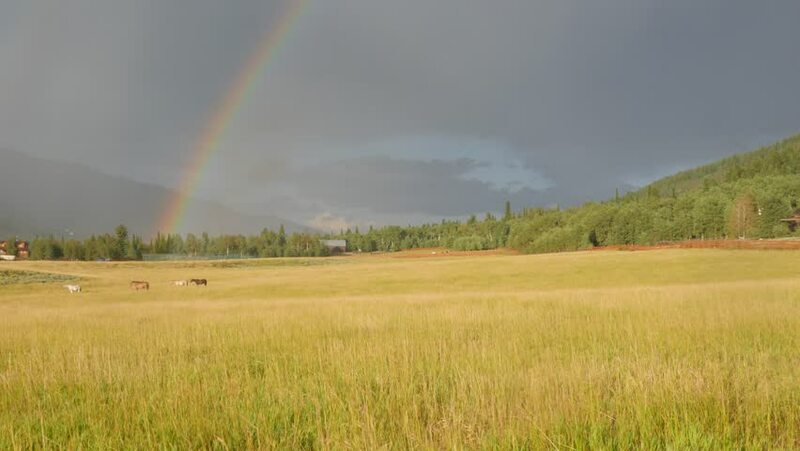 Grass moving in the wind with horses and a rainbow in the background. 4k00:294K UHD mountain meadow timelapse at the summer or autumn time. Wild nature and rural field. Clouds, trees, green grass and sun rays movement. 4k00:29View of storm moving through the sky over landscape past heard of Bison in Wyoming.